The sporty nature, evidenced by its "Sport" badge on the rear part of the tail, is further emphasised by the matt black of the exhaust protector and passenger handgrips whilst the carbon look hydrographics on the central tunnel and button panel of the rear shield also speak to its no-nonsense character. Unique and absolutely distinctive, right down to its rear gas shock absorbers and set of waveform front brake discs, the MP3 500 Sport hpe cuts a swathe through traffic with grit and determination. Last but not least its five colour variations leave no doubt that this bike is not for the faint-hearted with its choice of black, grey and green in matt, and white and pastel green in a glossy finish. POWERFUL, SAFE AND COMFORTABLE: Its ever more modern design and finish go hand in hand with increased comfort for the passenger, with the introduction of a new saddle and back rest redesigned for two. There's also the ergonomic hand holds, perfect for travelling as a pair. ENGINE, PERFORMANCE: Performance and efficiency are the standout characteristics of the new single-cylinder 500 hpe (High Performance Engine). It boasts an increase in performance of around 14% compared to the previous 500cc, with maximum power of 44.2 CV and, in the three-wheel world, a significant reduction in fuel consumption. The "Ride by Wire" electronic acceleration system optimises engine operation distribution and flow even at low speed by means of changing the engine map with a mere touch of a button on the handlebar. SAFETY STARTS WITH AN “A”: "A" as in ABS Developed together with Continental, the three-channel ABS offers outstanding active safety levels, avoiding wheel blocking during braking manoeuvres and ensuring you have control in any situation. The two large 13-inch front wheels also contribute to the exceptional safety and improved road surface absorption capacity. 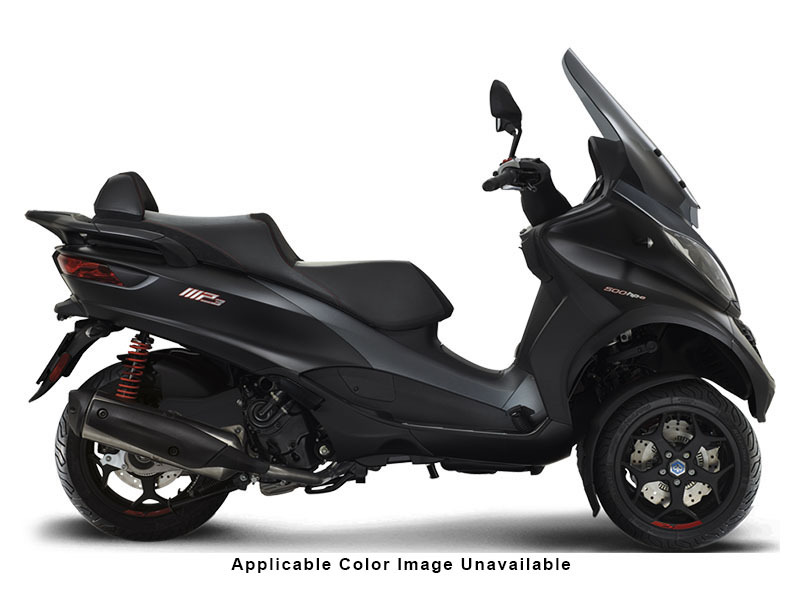 "A" also as in ASR (Acceleration Slip Regulation) with it easy deactivation function ensuring the rear wheel won't skid on greasy surfaces such as wet asphalt. 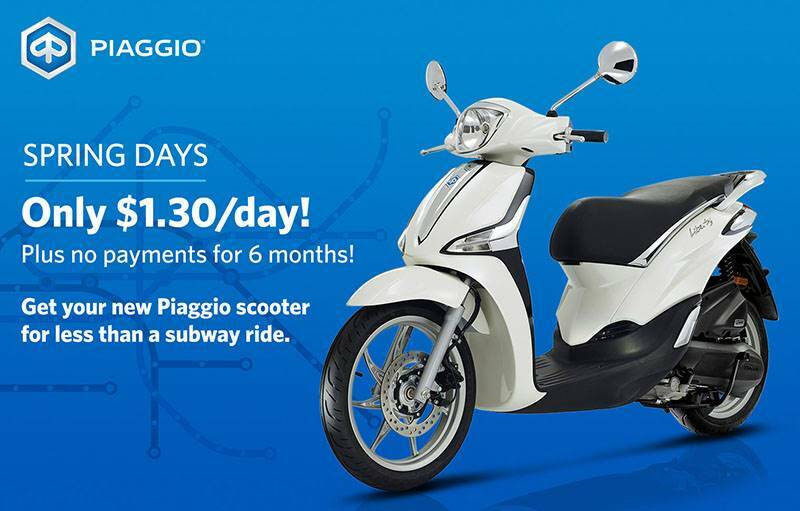 DISTINCTIVE FEATURES: Athletic and versatile, the "bad boy" versions of the MP3 Piaggio family is characterised by its highly efficient and exclusive gas shock absorbers developed by Kayaba, together with its gritty-looking daisy-shaped front brake discs. Front - Tubeless 110/70, 13 in.